KBB.com Brand Image Awards. Only 29,149 Miles! Delivers 22 Highway MPG and 15 City MPG! Carfax One-Owner Vehicle. Dealer Certified Pre-Owned. 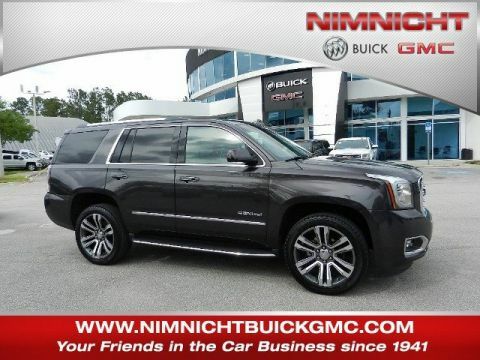 This GMC Yukon boasts a Gas V8 6.2L/378 engine powering this Automatic transmission. WHEELS, 20 X 9 (50.8 CM X 22.9 CM) ULTRA BRIGHT MACHINED ALUMINUM (STD), TRANSMISSION, 8-SPEED AUTOMATIC (STD), TIRES, P275/55R20 ALL-SEASON, BLACKWALL (STD). 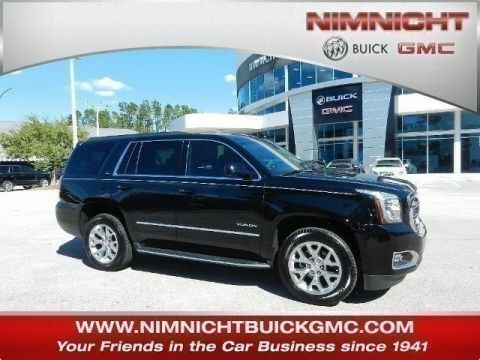 * This GMC Yukon Features the Following Options *OPEN ROAD PACKAGE includes additional 9 months of SiriusXM Radio and NavTraffic service, (CF5) power sunroof, (U42) rear seat entertainment system and on SLT (IO6) Audio system with navigation , SUNROOF, POWER, TILT-SLIDING with express-open and close and wind deflector, SEATS, SECOND ROW BUCKET, POWER (STD), SEATS, FRONT BUCKET WITH PERFORATED LEATHER-APPOINTED heated and cooled seat cushions, 12-way power driver and passenger seat includes 6-way power cushions, driver seat 2-position memory, 4-way power lumbar control and power recline (STD), REAR AXLE, 3.23, QUICKSILVER METALLIC, JET BLACK, PERFORATED LEATHER-APPOINTED SEAT TRIM, HEAD-UP DISPLAY Includes digital multi-function readouts, ENTERTAINMENT SYSTEM, REAR SEAT BLU-RAY/DVD. Includes two 2-channel wireless infrared headphones, rear seat audio controls, USB port and SD card slot, ENGINE, 6.2L ECOTEC3 V8 with Active Fuel Management, Direct Injection and Variable Valve Timing, includes aluminum block construction (420 hp [313 kW] @ 5600 rpm, 460 lb-ft of torque [624 N-m] @ 4100 rpm) (STD). * Know You're Making a Reliable Purchase *According to Carfax's history report: Carfax One-Owner Vehicle, No Damage Reported, No Accidents Reported. 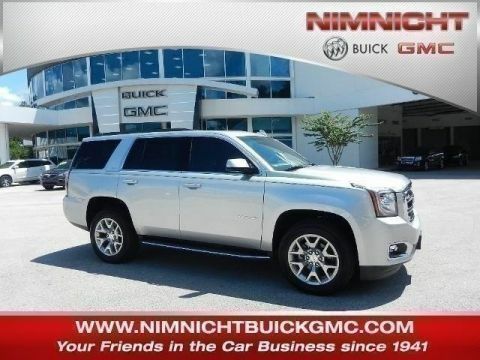 Nimnicht Buick GMC graded the Overall Condition of this vehicle as Excellent. Non-smoker vehicle! 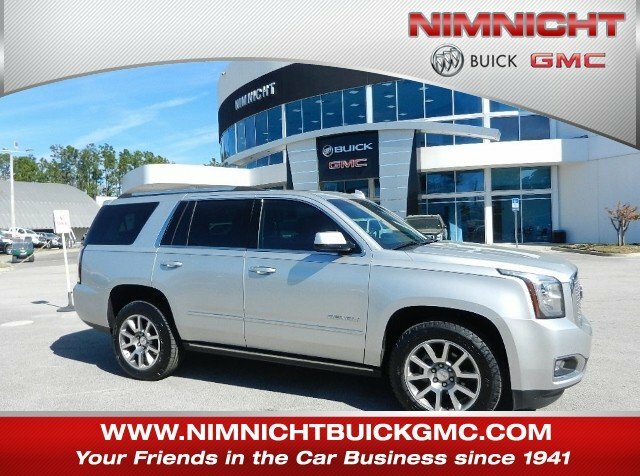 * Visit Us Today *Stop by Nimnicht Buick GMC located at 11503 Philips Hwy, Jacksonville, FL 32256 for a quick visit and a great vehicle! Brakes, VAC power, 17 disc,/disc with Vehicle Stability Enhancement System 7700 lbs.